Automotive manufactures and their suppliers us a variety of carriers that the VDA (German Association of the Automotive Industry) has standardised with the specifications of the 4500 standard. These include the R, the RL and folding KLT. 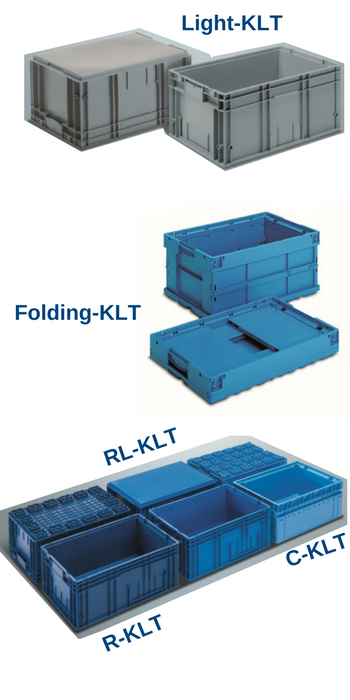 In addition, there is the C-KLT, the Light KLT or the medium container that does not conform to any standard. The differences between each of the different types of KLT are outlined below.